Summary of the first limb of Ashtanga yoga. Today I’d like to present the first of the eight (Ashtau) limbs of Ashtanga yoga – Yama, as described in “Yoga Sutra” of Patanjali. Below is learnt from the book of Bhavani Maki “The Yogi’s roadmap”. The first limb is called Yama, i.e. a moral compass. Living by a set of virtuous standards keeps our conscience free and clear, so that we can maintain our trajectory, and be spared the constant need to retrace our steps and clean up our acts. To resolve the inner conflicts that hinder and delay the realisation of our soul’s longing, we must go to the source of our issues and weed them out from the field of our consciousness. Because the root of these conflicts lies in confused values and priorities, it is necessary that we have a clear set of guidelines that support us in our process to create harmony with others, our surroundings, and ourselves. And here Yama comes. Yoga Sutra II:30: Non-violence, honesty, non-stealing, moderation, and non-hoarding, are the social observances known as Yama. These five Yama are the rules of engagement in relationship to society. Today we’ll talk about its first tenant – non-violence or Ahimsa. Ahimsa is loving kindness and non-violence. It is a fundamental foundation for all yogik practice. It is said that if we can live by the Yama’s first golden rule, we have realised yoga in its total expression. By violence Patanjali not only means physical act of violence, but mental, emotional aggression, such as holding ill intentions, being overly critical of others and self and any attitude, which generates further negative feelings of anger, shame, and resentment. Violence is also provoking acts of violence and supporting an act of violence through inaction and tacit approval. Patanjali emphasises our need to develop awareness concerning the many and subtle forms of violence, and harmful activities and thoughts, in order to strengthen our willpower, so crucial to traverse the spiritual path. Our choices make us who we are and by doing our best to live by the codes of Yama (our inner moral compass), our negative qualities gradually become overpowered by positives ones. It is up to us to do what we can to resolve our mental and emotional disturbances, and recognise that our attitudes toward our environment and others, is reflective of our personal journey to realise peace and freedom within. I invite you to dedicate this week to the concept of Ahimsa, non-violence. Watch your emotions, your thoughts and actions through the prism of Ahimsa. 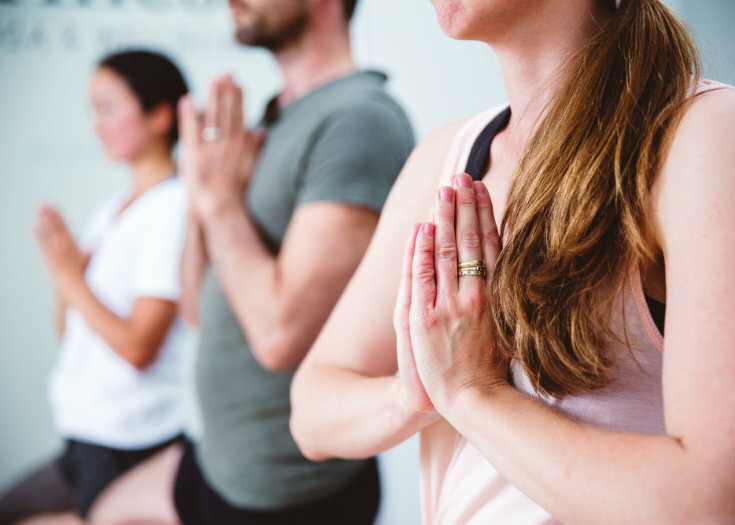 How do you approach your personal yoga practice? How do you interact with others? Are you rushing through the practice or are you conscious of every breath and every move? Are you over ambitious in practice or are you patient and kind to yourselves?…. When we relax and understand that it will take our entire lifetime to achieve our life’s destiny, Ahimsa or non-violence becomes a natural response to life :-).